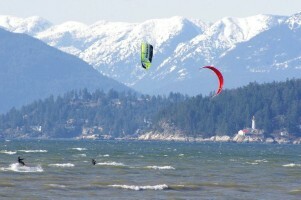 kiteboardbc.com • View topic - Can we make a "Rideshare" forum category? Can we make a "Rideshare" forum category? The same way we have a "Kiteboarding" and a "Buy and Sell" section, what do people think about adding a "Rideshare" section to the forum? Though not in Vancouver this summer until Aug, I have wheels and am always up to give people a ride when I kite as it makes gas cheaper for me and life easier for others. When people post in the "kiteboarding" section for rides they seem to get kinda lost amongst everything else and I think a dedicated carpool section where people who have space in their cars can offer rides and those who need rides can ask for them would be awesome.. thoughts? Re: Can we make a "Rideshare" forum category? Definately would be awesome to have a catergory like that!! Excellent idea. It is easy to create a sub forum here. 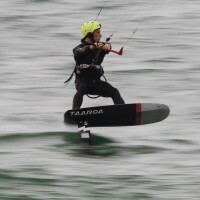 Some other kite forums have many subforums such as "Lost and Found", "Equipment Discussion", "Product Announcements" etc. But there is little traffic on these subforums. Ride sharing is great and it is a worthy topic on the main forum where it will get maximum exposure. Guys like Letona usually get rides when they post and ask. I have squeezed him into my car when I noticed his post, but I probably wouldn't go looking on a sub forum. I honestly think the best way to share rides is to post on the main forum. Big thanks to guys like Vrt (Mike Harding) who regularly posts that he has room in his vehicle. Sure the main forum is best for exposure, but I think it makes way more sense having a separate sub forum for people to find/give rides. Obviously anyone needing a ride would post there, but with a separate subforum it's much easier for those who do have space in their cars to find people to fill it. More people would be inclined to give rides given an easier system to give them. btw who do i message about getting this idea of a new sub-forum into motion? You have already contacted the moderators of this forum through your post. CG is the one of the group who do changes to the website. I am one of the moderators, and at first I thought a ride share sub forum might be a good idea. But, as CG says, it will likely mean less people will see the posts. Ride share posts are usually posted on the morning of, or the day before heading out for a session somewhere. They get maximum exposure on the main forum and rarely end up down on the list because the postings are so current. I was thinking that this Can we make a "Rideshare" forum category? thread really does not really belong on the main forum. It belongs in the Website Issues sub forum. We can move it over there (where it will eventually end up), but I'm betting fewer people will see it and respond. The same thing could happen with a rideshare post in a Rideshare sub forum. It would be interesting to see what others think. Good idea hamishbaxter but as CG says I got ride up to the spit most of time even thou I gotta post it one day before at least and crossed fingers till someone pick me up, but I wonder if a sub forum would be helpful or easier to those people trying to get up there, anyway I keep thumbs up for any new ideas that benefits this sport.